Here is a great short overview about Ingrid Plum. Courtesy to Ekho: Women in Sonic Art for this post. I haven’t gone mad but posting this for two reasons. Firstly it links in with some items about Ingrid Plum and gives Fractal Meat a plug as it is a radio show that gives space and promotes experimental, noise and sound music being created today. Well worth visiting. On Friday 18th September Ingrid Plum will join me in the studio to perform live and play some tracks from her forthcoming album, Plangent. Tune into NTS from 8-10am. 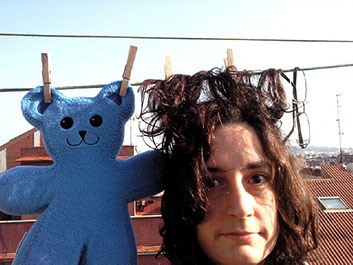 Using extended technique and improvisation, Plum combines her voice with field recordings and electronics to create layered soundscapes blending spoken word and song. Her recordings and live performance have the honesty and intimacy of a confessional alongside the sonic scope of the forests and open coastlines of her native Denmark, a landscape that inspires much of her music.